A moist environment can promote bacteria growth so while it may sound like a good idea to keep it in a toothbrush holder at home it isn’t. However, when traveling it is smart to keep it covered and protected from dust and bacteria. Look for a toothbrush holder with small air holes so that the bristles have a chance to dry. 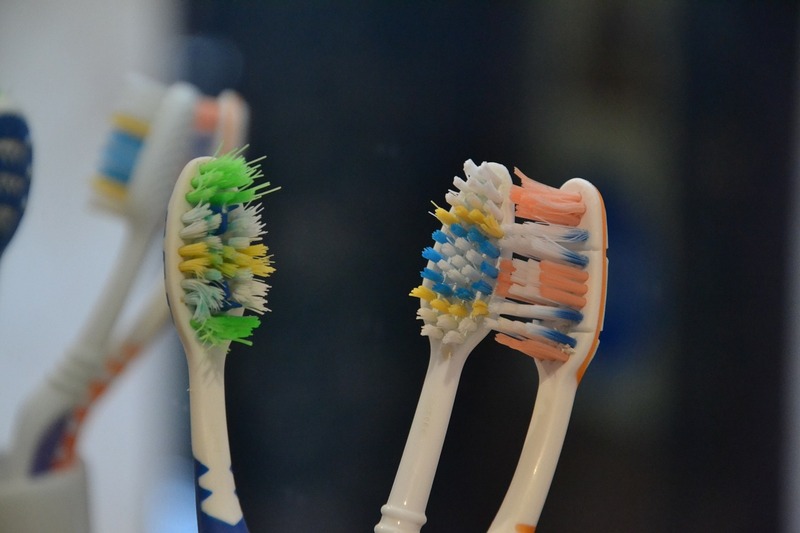 Most of us keep our toothbrush in the bathroom since that is more than likely where you brush your teeth. However, this may not be the smartest option. Bathrooms are usually cool, dark, and humid which can promote bacteria growth. Flushing the toilet can also be unsanitary for your unprotected toothbrush and leave unwanted bacteria on your brush. The ideal location for your toothbrush would be somewhere conveniently on the way to the bathroom like your bedroom dresser or somewhere that it can be easily accessed. Toothbrush sanitizers are another way to keep your toothbrush clean other than rinsing it after each use. These sanitizers are known to help reduce natural occurring bacterial contamination keeping your toothbrush clean and healthy. Look for a sanitizer that has been approved by the FDA so you can ensure that it is a safe product. Also, never try to sanitize your toothbrush by putting it in the dishwasher or microwave. Of course it’s always important to replace your toothbrush often. These few simple steps can help ensure your oral hygiene is at its best and extend the life of your toothbrush in general. Schedule an appointment to find out more ways to properly store your toothbrush as well as find out which type of toothbrush is best for you!